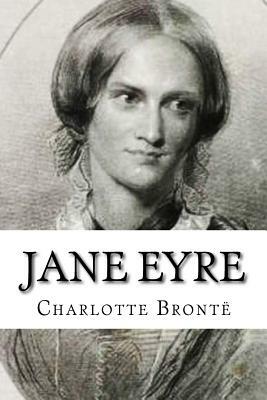 A poor governess, Jane Eyre, captures the heart of her enigmatic employer, Edward Rochester. Jane discovers that he has a secret that could jeopardize any hope of happiness between them. Show Excerpt m grasp my hair and my shoulder: he had closed with a desperate thing. I really saw in him a tyrant, a murderer. I felt a drop or two of blood from my head trickle down my neck, and was sensible of somewhat pungent suffering: these sensations for the time predominated over fear, and I received him in frantic sort. I don't very well know what I did with my hands, but he called me "Rat Rat " and bellowed out aloud. Aid was near him: Eliza and Georgiana had run for Mrs. Reed, who was gone upstairs: she now came upon the scene, followed by Bessie and her maid Abbot. We were parted: I heard the words - "Dear dear What a fury to fly at Master John " "Did ever anybody see such a picture of passion " Then Mrs. Reed subjoined - "Take her away to the red-room, and lock her in there." Four hands were immediately laid upon me, and I was borne upstairs. CHAPTER II I resisted all the way: a new thing for me, and.